The successful leader among Microsoft Partners confirms its status the sixth consecutive year. proMX GmbH Nuremberg Software Company and a famous partner of Microsoft Dynamics in Germany continues to demonstrate its growth and achievements. This year becomes a triumphant one for the team and brings a fantastic evaluation of company’s results in a form of becoming a Winner of Microsoft Awards 2014 in the category “Microsoft Partner of the Year Award – Germany.” The secret of proMX GmbH is the well known product – proRM Business Solutions, which is famous for its perfect possibilities to bring more success to companies with better organized resource and project management. Traditionally all the winners of Microsoft Awards come together to celebrate their success and receive recognition. The united event is the Microsoft Worldwide Partner Conference 2014, which this year takes place on July 13-17 in Washington D.C., USA. Of course, the proMX-team will be there. The list of winners is available on the official WPC website. The title “Microsoft Partner of the Year” is given to partners who demonstrate excellent customer solutions based on Microsoft services and bring mutual customers more value and essential support. The partners who become winners, are truly exceptional companies whose accomplishments should be viewed as examples of excellence for every Microsoft partner. “The integration with Azure, proRM Apps in One Microsoft Store and O365 in combination with a scaling ISV model were the crucial in the success of proRM Business Solutions and proMX GmbH in Dynamics. The company is therefore an excellent example of the successful implementation of One Microsoft and thus a role model for all partners far beyond the Dynamics range.” – says Christian Geckeis, Partner Sales & Strategy Lead in Microsoft Dynamics. Recently the most significant step of the innovative proRM development brought customers new benefits and absolute flexibility. This was reached by the extending proRM Business Solutions to 22 proRM Apps, which can be used separately or in different combinations. The proMX-team believes that there are no identical business models, just as there are no two identical people. The concept of flexible services based on a variety of applications becomes a significant value for our customers. Now they are able to choose only those ones which bring real benefits in managing their unique business processes. 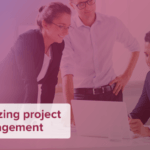 The proRM Apps, which are oriented on project management, such as Project Gantt, Budget Planning, Controlling Manager, Approval Manager and others, bring all project phases under complete control. The applications that help to improve resource management activities bring a whole new level of forecasting and planning possibilities of customers, and give managers a chance to know more about resources skills, their planned activities and availability. Due to these applications, it is easier to make decisions about resource recruitment and trainings, manage internal and external resources and as a result make conclusions about their efficiency. According to the positive experience of our customers, the resource execution becomes more productive and the revenue per person significantly increases. Modern business processes are far away from being closed in one office space and must be covered by mobile applications, which significantly extend management borders. The deep understanding of this reality gives the proMX-team an additional inspiration in their development. proRM best mobile solutions, which allow you to track time and expenses and to have a significant view of their status, are available within Windows and Windows Phone Stores as well as via Microsoft Dynamics CRM Online. proRM Business Solutions is available in the Cloud as well as On-Premise. This fact deletes the borders for our customers and allows its use all over the world. Moreover, the work with our partners in different corners of the globe brings special efficiency and substantial customer support and services. 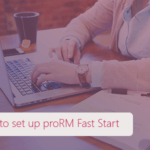 It is possible to test proRM Business Solutions and MS Dynamics CRM in the Cloud on proRM Online Demo, to use proRM Freemium Edition for one year and to get the positive experience of using the resource and project management software from “Microsoft Partner of the Year Award – Germany” Winner. proMX GmbH is on the path to improvement and optimization of its solution for the management and control of the projects - proRM Business Solutions. Our teams, consisting of highly qualified employees and experts on these subjects, use their complete achievement property to make the newest version of the proRM Business Solutions even more efficiently and even more user-friendly. This year the Microsoft Worldwide Partner Conference 2014 was again a successful event for the proMX GmbH. Peter Linke (CEO) visited this unique Microsoft event in Washington D.C. and brought some great feelings and the atmosphere back to Germany. WPC 2014 brings new partners, new knowledge and new ideas!